“You shouldn’t let your current situation determine your future.” So says Amanda Ngqoleka who, at one stage, found it difficult to believe in herself and yet today, with the help of the Engen Graduate Development Programme, is a graduate of the University of KwaZulu-Natal where she achieved a BSc Chemistry and Chemical Technology degree. Way to go Amanda! May others follow your example. And well done to Engen on this great initiative. In this day and age when there is so much despair around, FleetWatch loves coming across examples of individuals in our industry who serve to inspire by overcoming barriers put in their way and rising to achieve their full potential. One such individual is Amanda Ngqoleka who, with the help of the Engen Maths and Science Schools programme, has managed to rise up and excel. Amanda was a young girl in primary school when her mom died. Without her mom to care for her, she lived with various family members in Port Elizabeth and attended four different schools, matriculating from Ndyebo Senior Secondary School. Up until Grade 10, she found it hard to believe in herself but then her science teacher introduced her to the Engen Maths and Science Schools (EMSS) programme – and that changed everything. Speaking out to mark Youth Month in a bid to raise awareness about the importance of self-motivation and to urge youngsters not to believe the world owes them a living, Amanda is proof that adversity can indeed translate to success. “When I was at school, those EMSS classes helped me improve my own marks because I saw other children excelling and that motivated me to do more,” she recalls. Today, Amanda is a graduate of the University of KwaZulu-Natal where she achieved a BSc Chemistry and Chemical Technology degree and is part of Engen’s Graduate Development Programme, working in the Lubricants Supply Chain division in Durban. 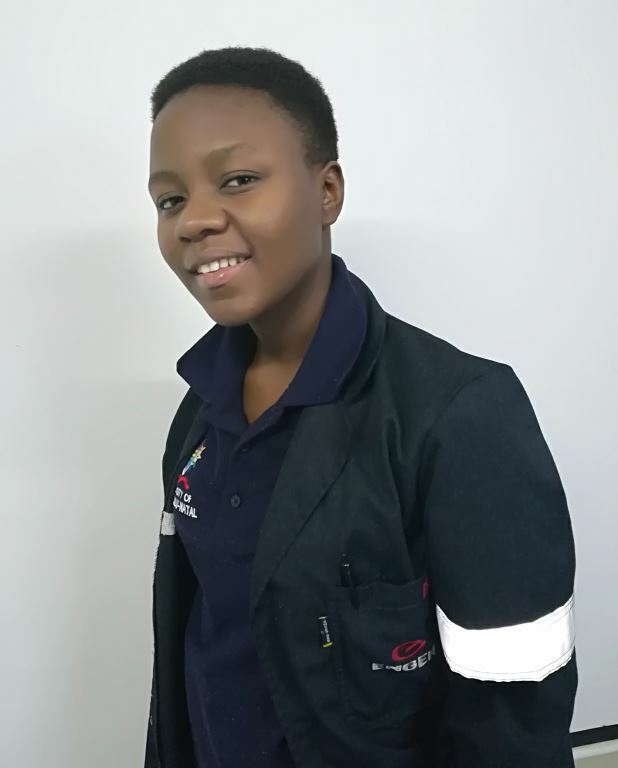 Amanda’s accomplishments after she matriculated and won an Engen bursary to pursue her studies, is exactly the kind of result Engen wants to see from its interventions, says Nokulunga Mjwara, Engen Talent Supply Specialist. “Ms Ngqoleka epitomises the quality of the young people we work with in the EMSS and Graduate programmes around the country every year and our ultimate reward is to help set them up to pursue stimulating careers that won’t only benefit them personally but also the economy as a whole,” she says. Amanda credits the Engen Graduate Development Programme introductory sessions for teaching her not only how to make an impression in the workplace, but also vital life skills. She is, however, adamant that youngsters need to also take responsibility for their own futures; to seek out the opportunities available to them and to work hard to see their dreams become a reality. “Look at what happened to me. I had everything against me on paper but then in my first year at ‘varsity, I was named the top first-year student. That’s proof that anything is possible if you get serious about your future,” says Amanda. Engen’s Mjwara says it is extremely gratifying to hear such positive feedback about the company’s initiatives, which support opportunity among the youth from school and university level. “We strongly believe that we have a responsibility to help young people realise their full potential and we feel enormously privileged to have played a role in Ms Ngqoleka’s impressive achievements,” says Mjwara. Amanda, meanwhile, says she has more to do. She is experiencing the world of chemistry within Engen with a view to making a final decision about whether to pursue her post-graduate studies in chemistry. “Engen is a huge company with a very good image and it’s been my dream to work here since the day I got their bursary. At the end of the day, I want to be able to say that I’ve made a positive change in the community and that I am going to leave the world better off somehow,” she says. Lovely stuff. Well done Amanda. You stand as an inspiration to others. We salute you and at the same time, we salute Engen for helping you reach your potential through their programme. It’s all the right stuff.